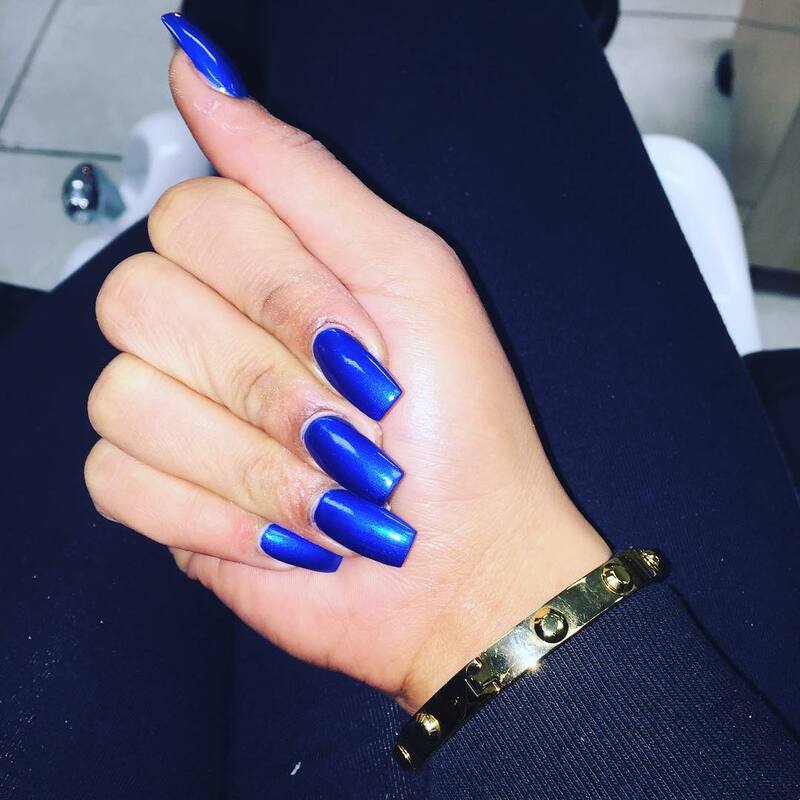 Blue is the color that is considered a masculine choice by most people. 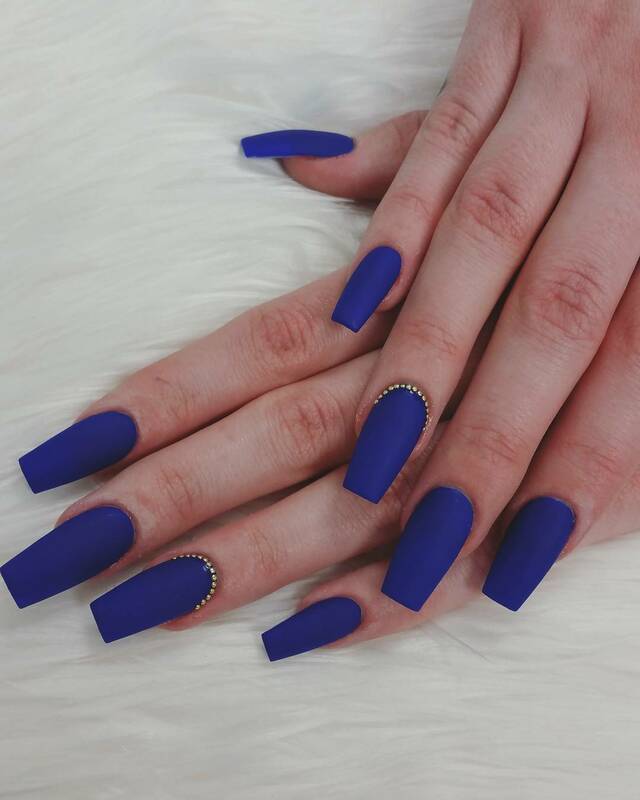 However, it is not surprising how many women like blue color nail polish. 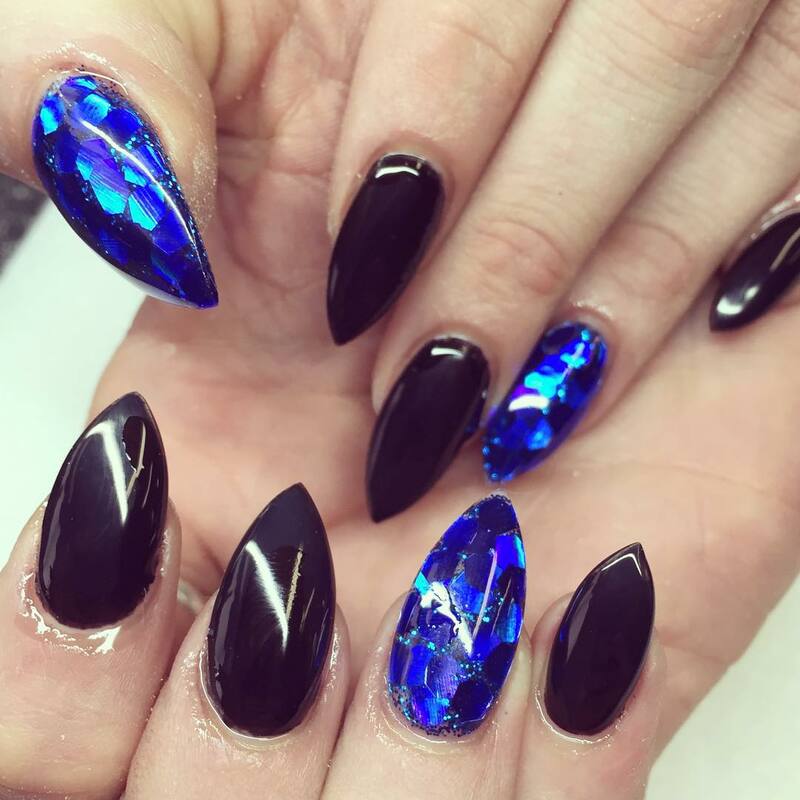 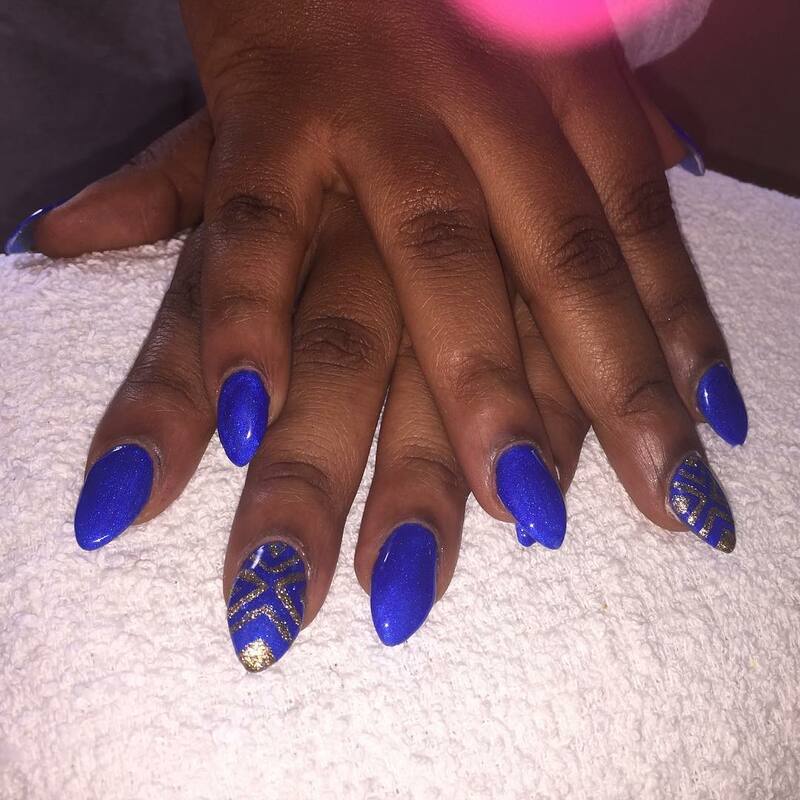 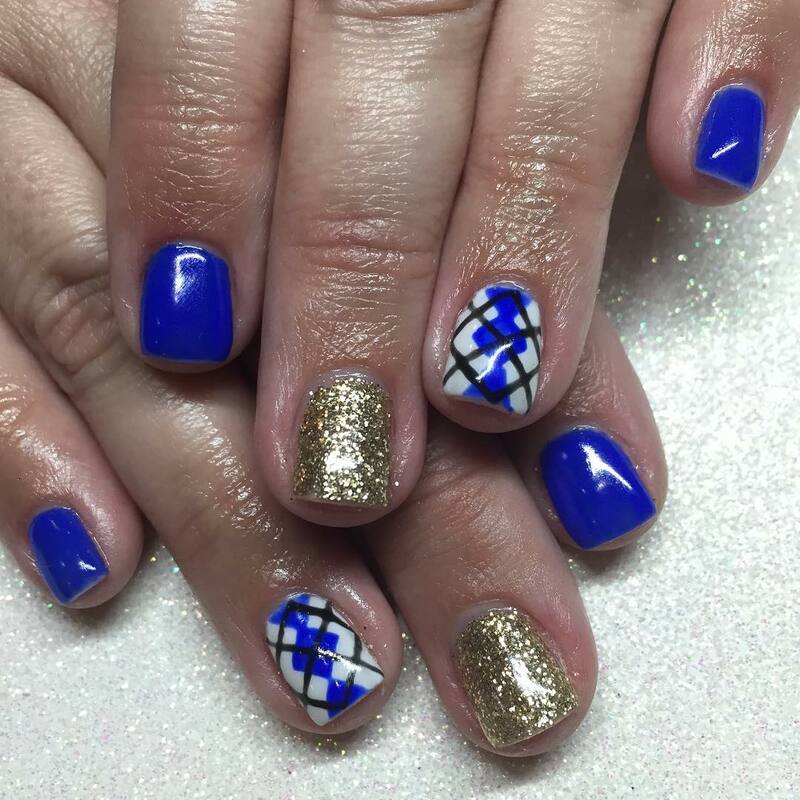 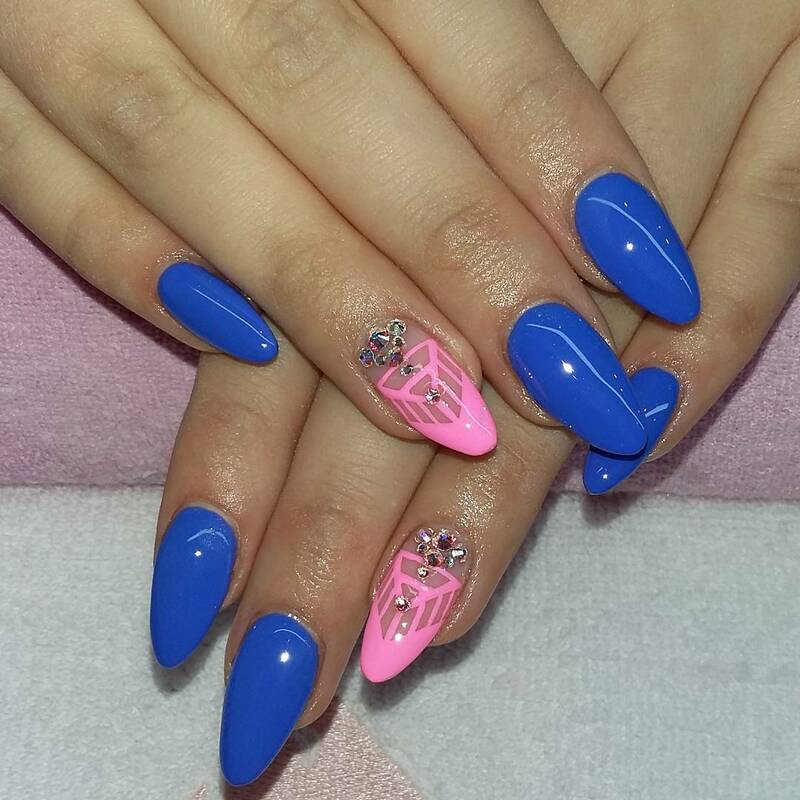 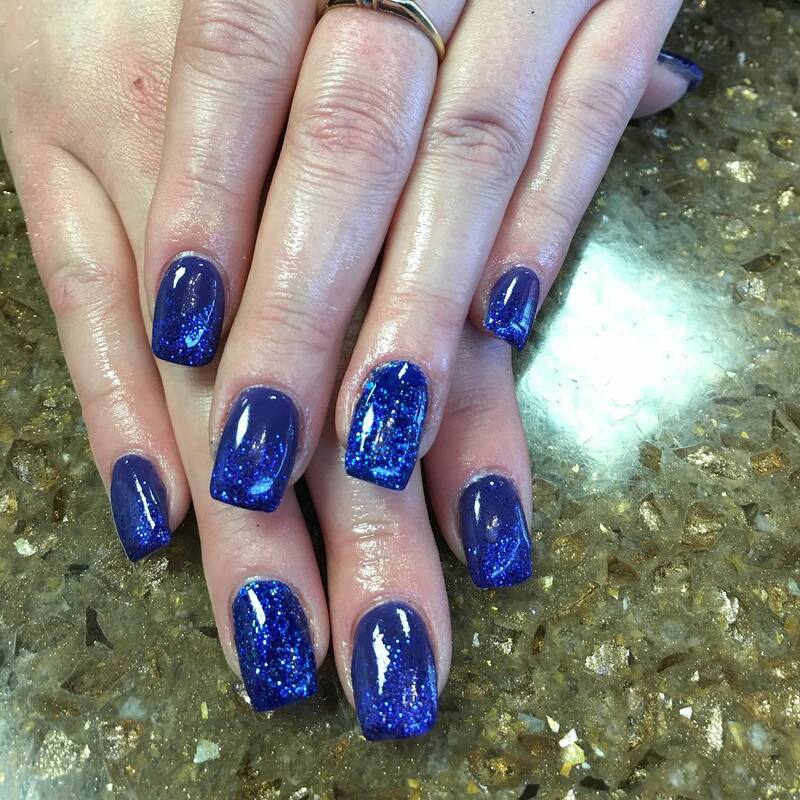 Most women are breaking the barriers of the past plain royal blue nail designs to try out new and bold combinations. 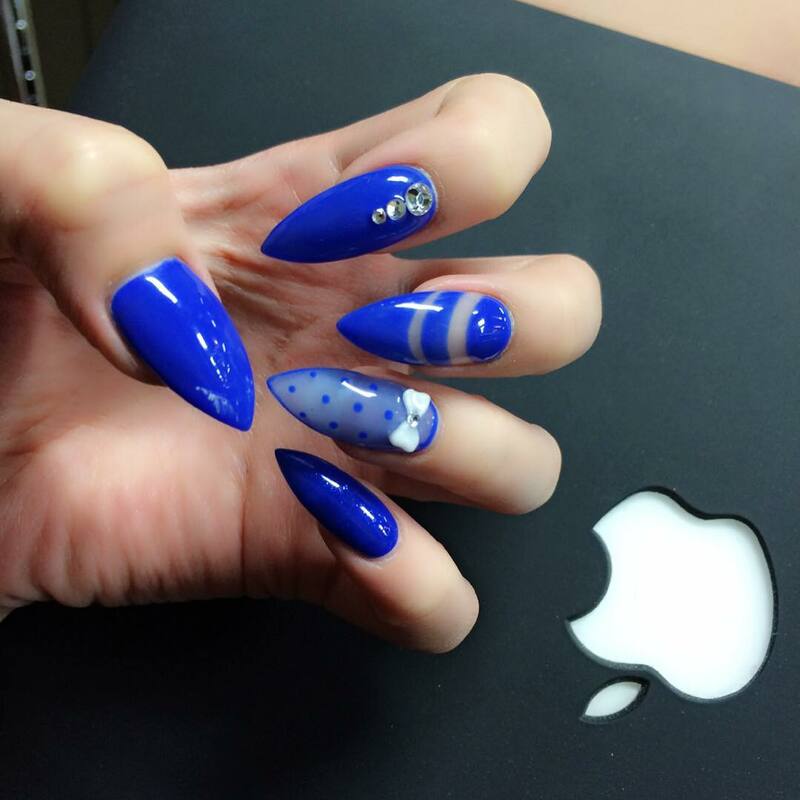 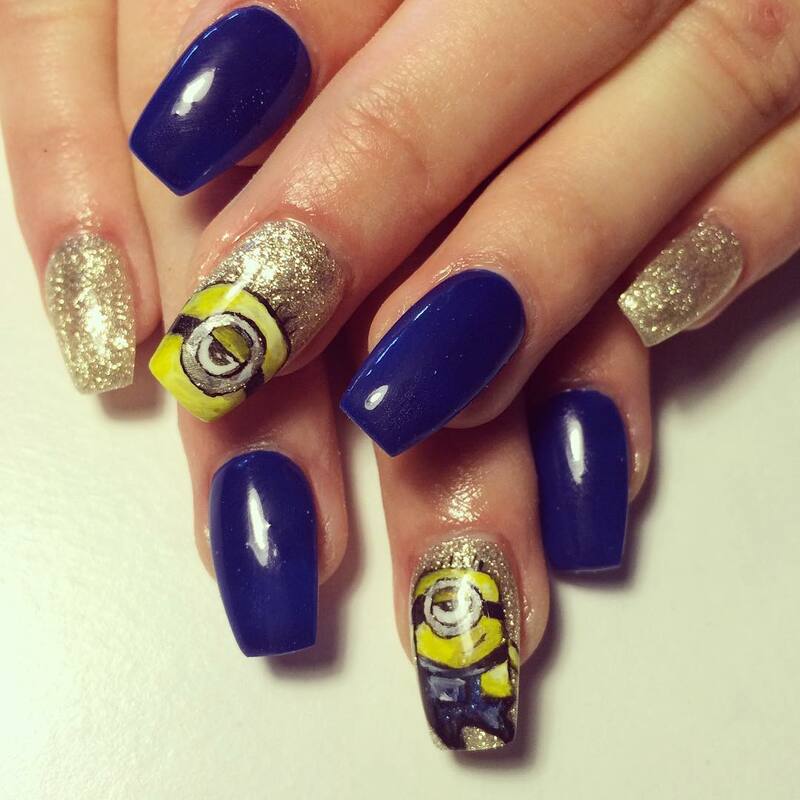 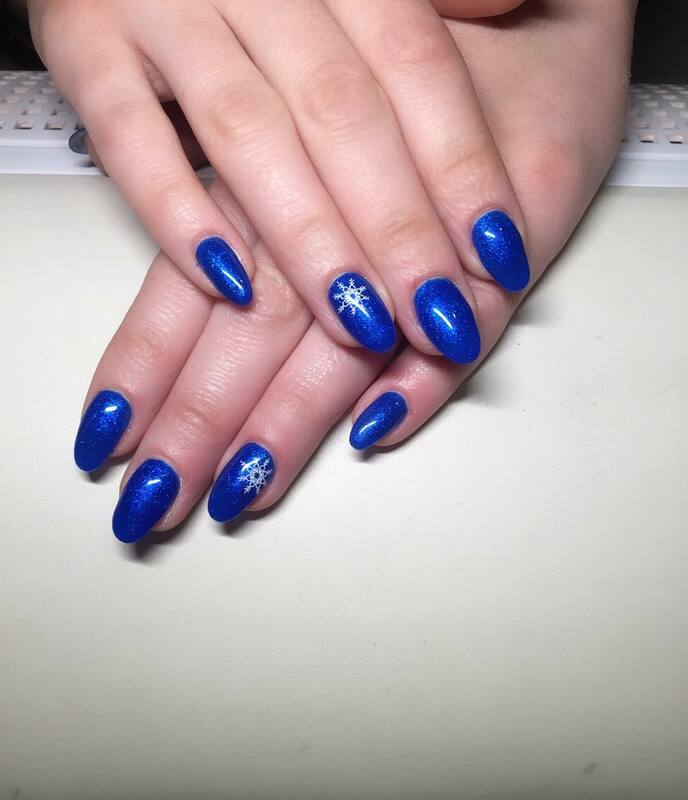 There are many current trends of blue nail art designs to choose from. 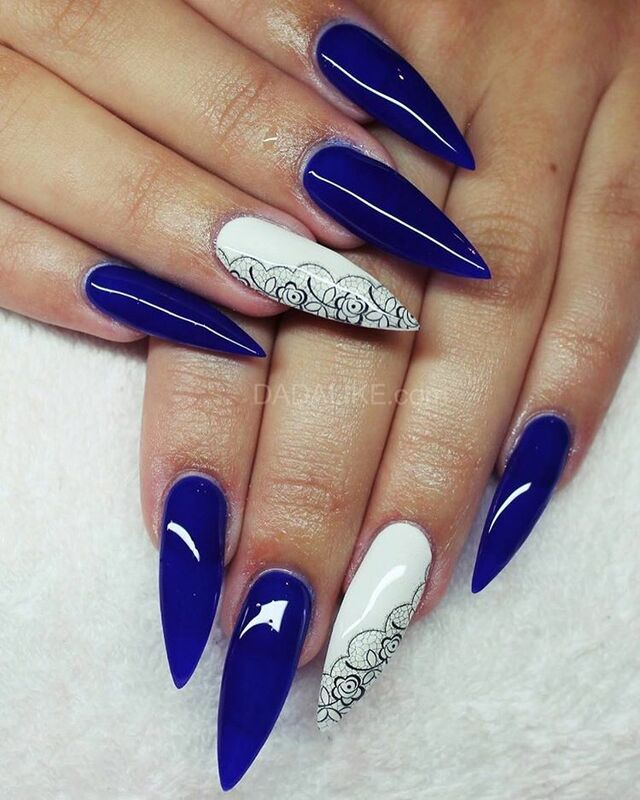 These designs allow you to look cool and casual. 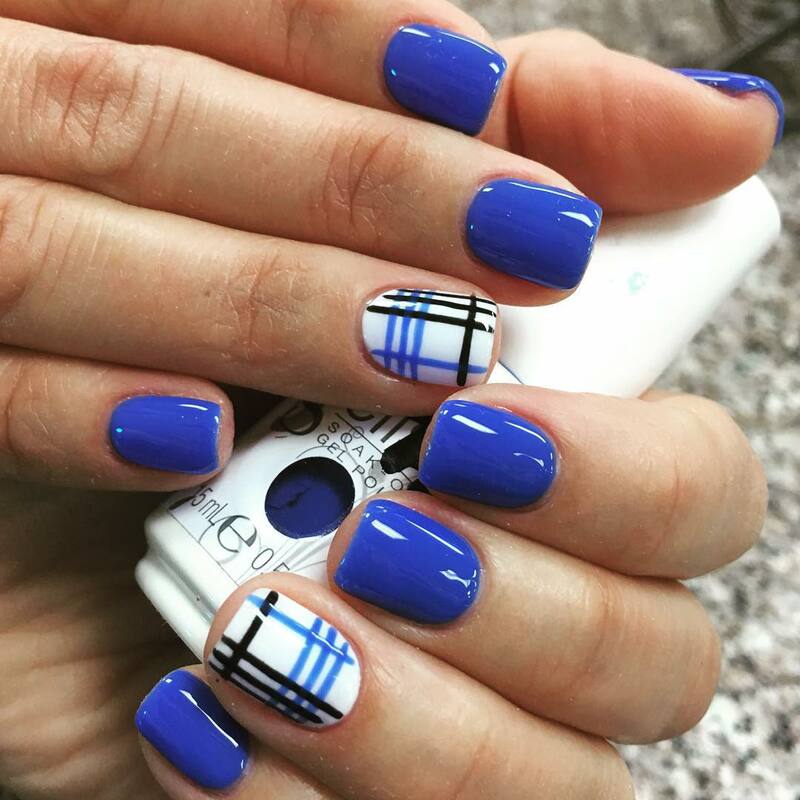 Try a combination of two or three shades of blue in simple stripes or floral nail art to have an entirely new version of nail designs. 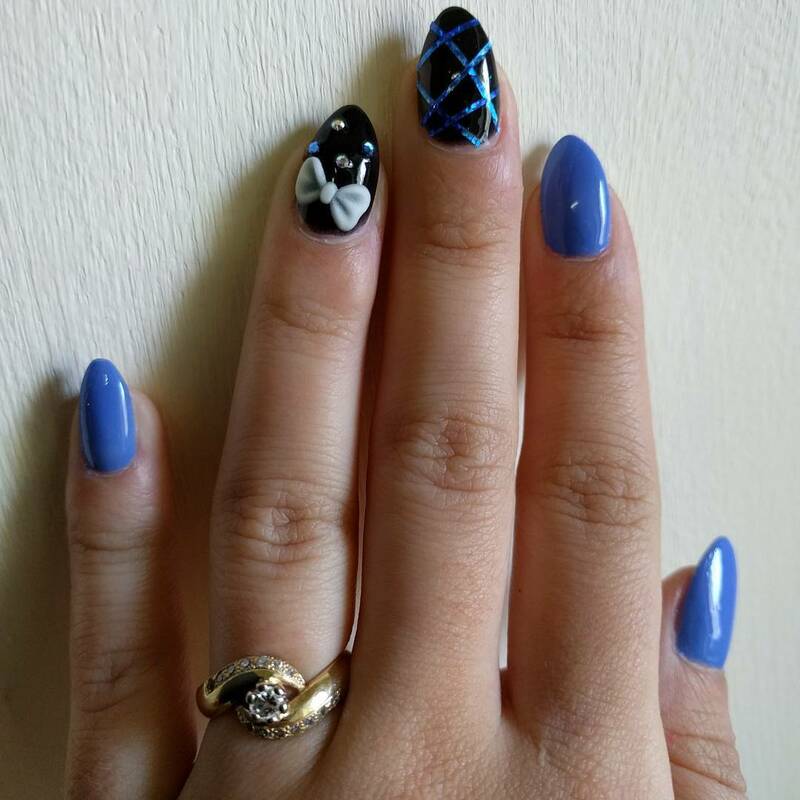 Blue works well with black and silver. 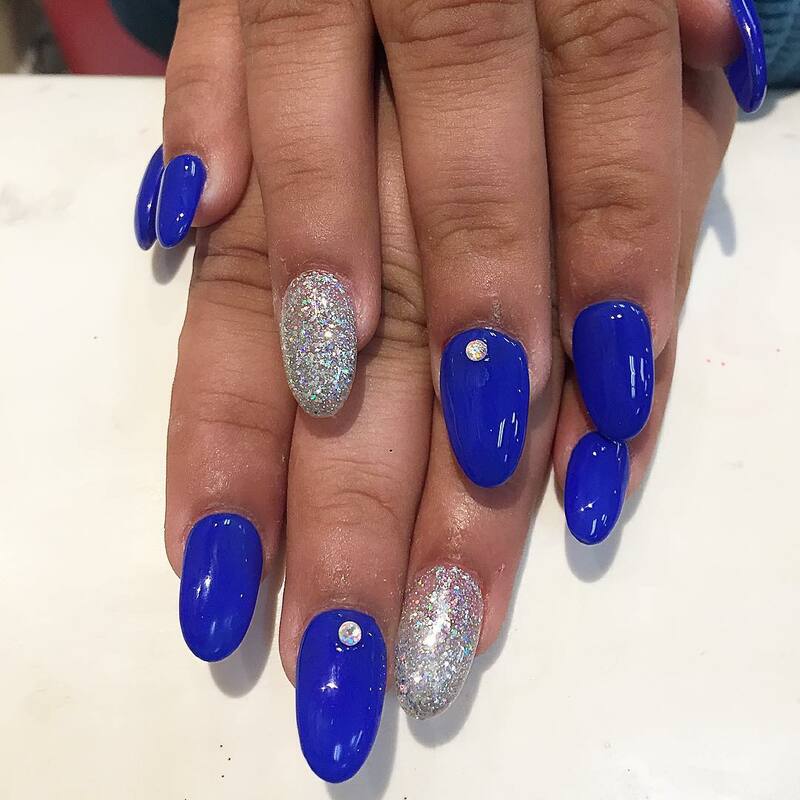 The silver color can add just the right combination for a classic look. 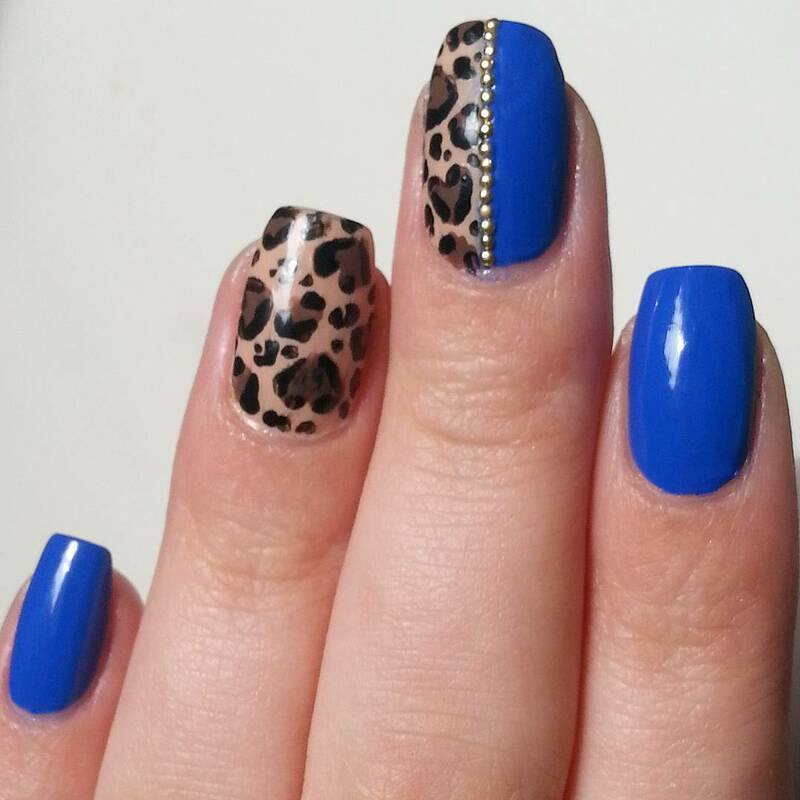 You can start with a blue base, create some patterns with black and then edge with silver polish. 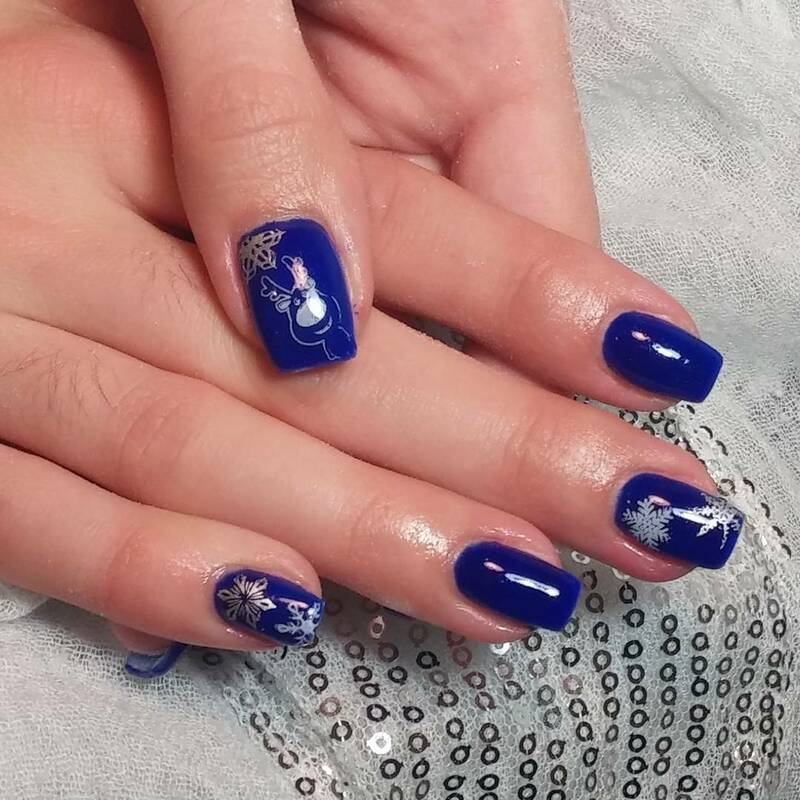 You can try the flower and crystal art nail designs. 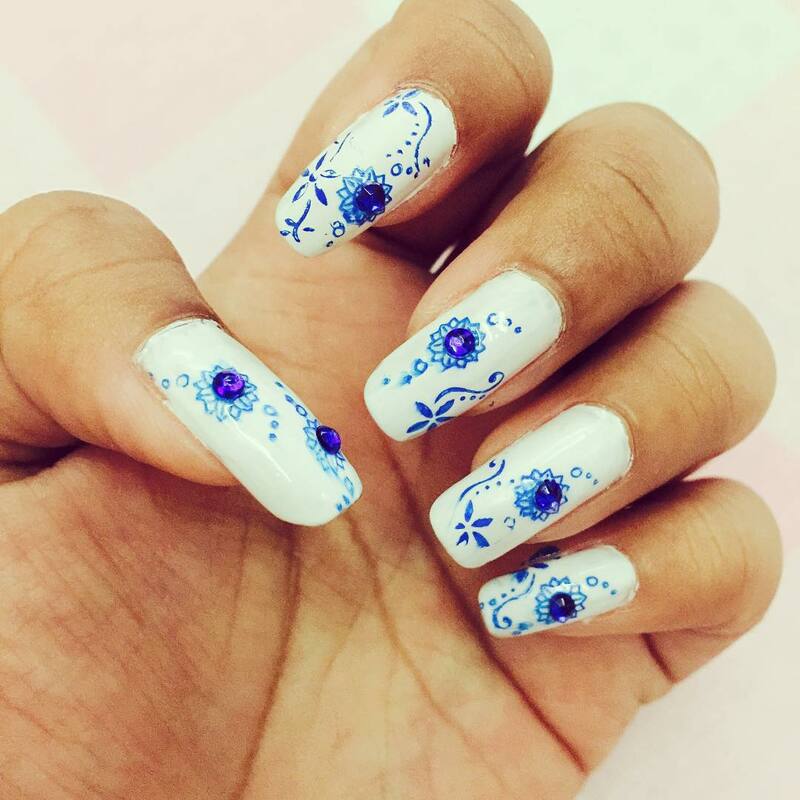 This design allows you to create floral art on the nails. 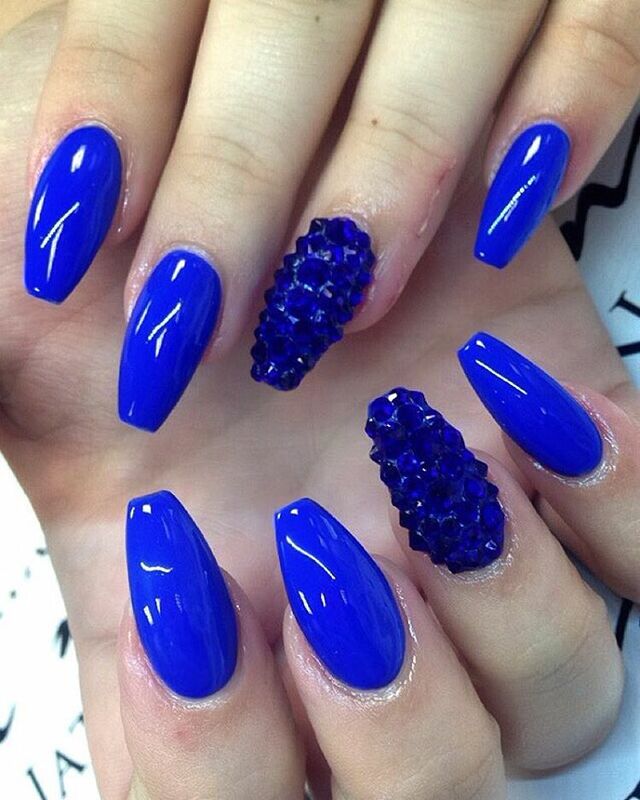 You can stick a rhinestone at the centre to make it look pretty. 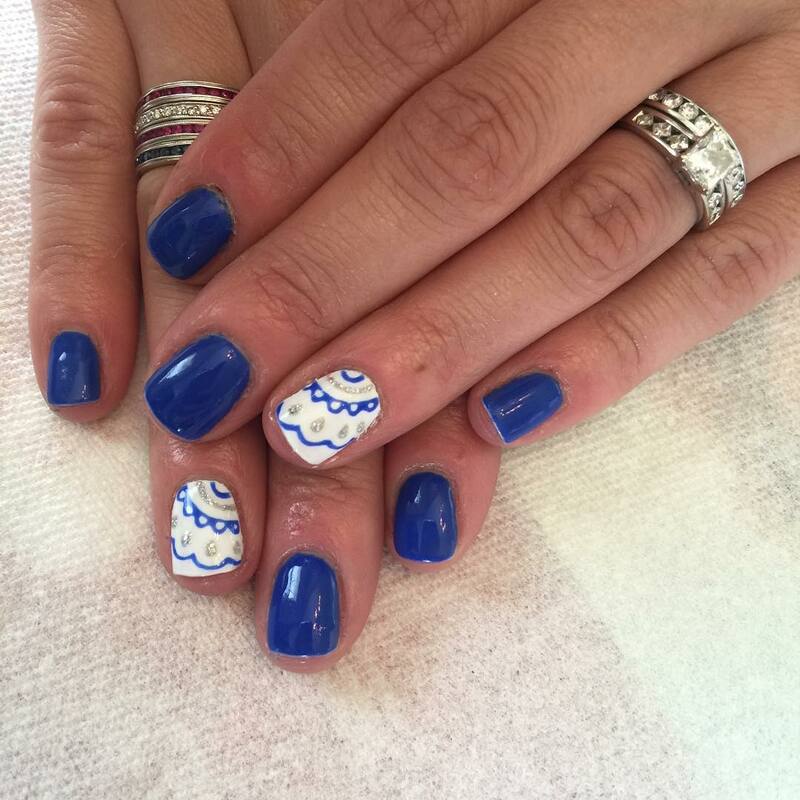 If you prefer going casual, stripes of royal blue nail designs are ideal for you. 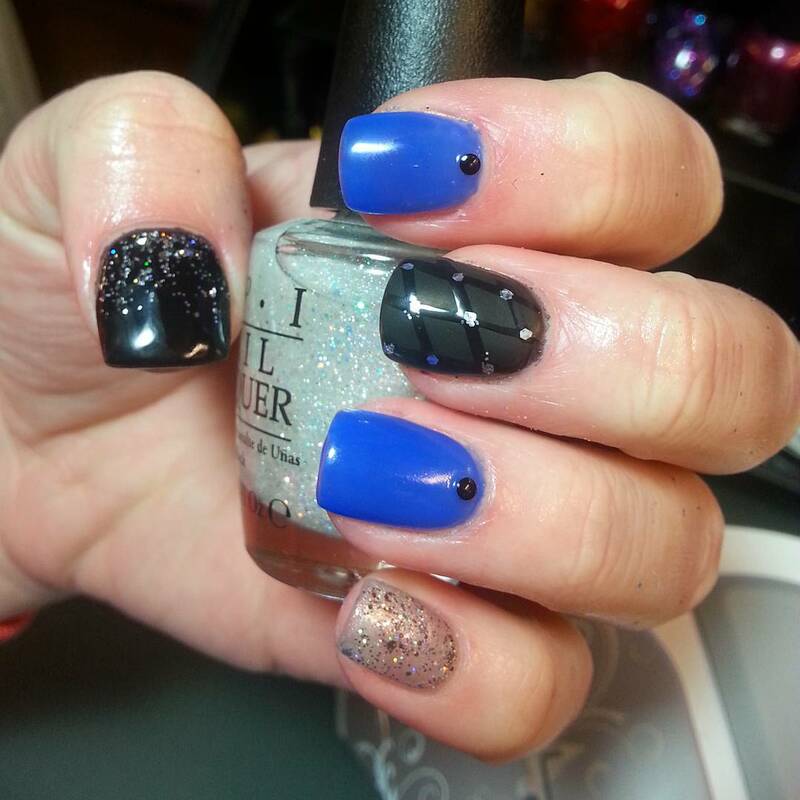 Use either varying shades of blue or a combination of black and white. 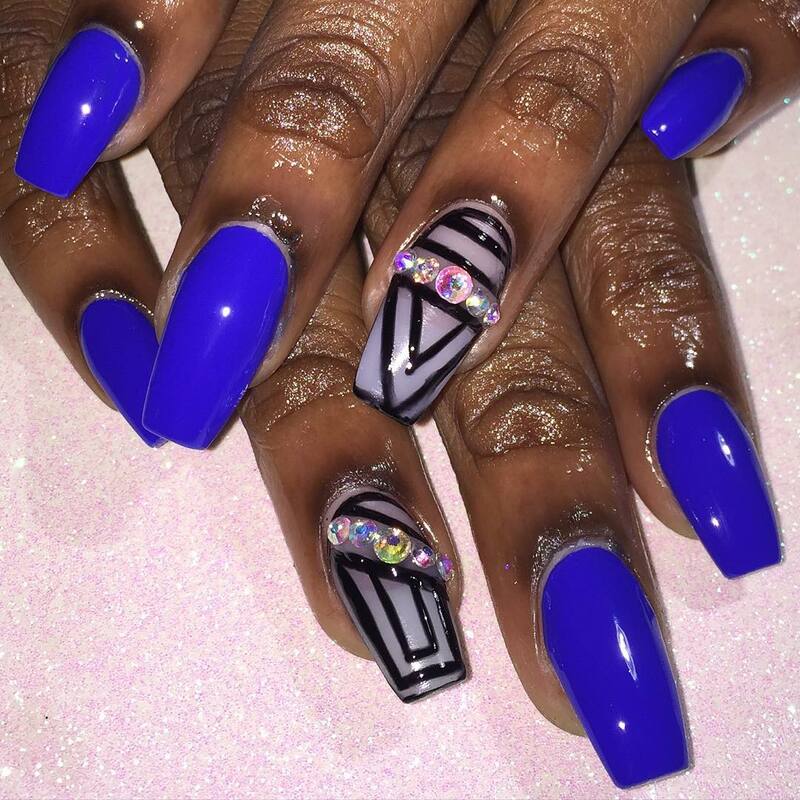 Party lovers can try out blue and green roses instead of going all blue.